So imagine adventurous day spent on both a train and bike with plenty on offer for all ages. 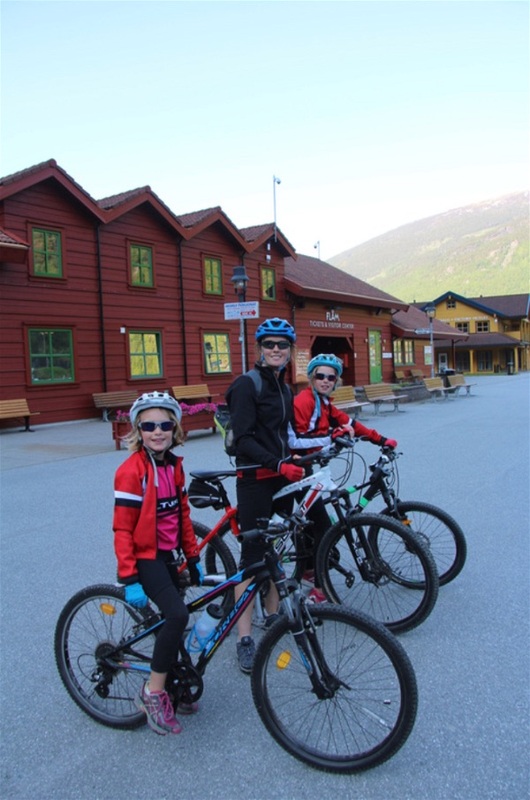 All this in an idyllic fjord-side setting ….. the perfect recipe for some family fun and relaxation!! 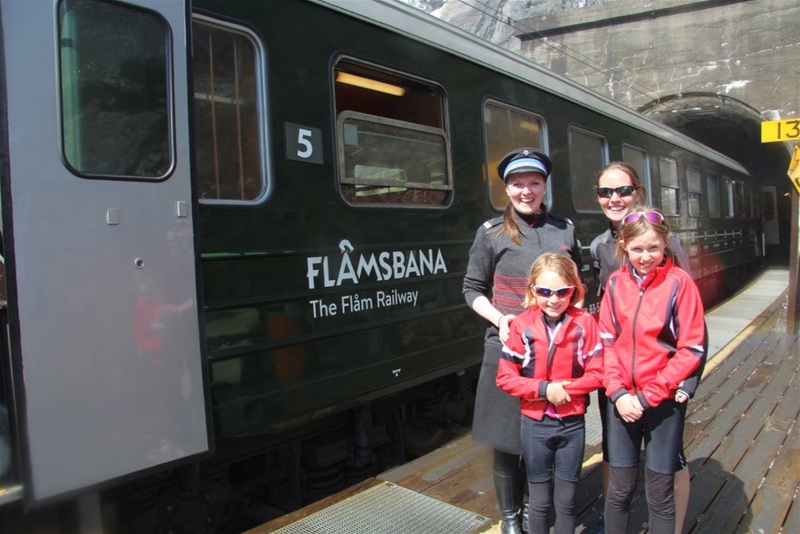 It all centres on the choice of how you might want to experience this extraordinary valley – should you see Flam’s Valley by railway (Flamsbana) or on two legs & a bike? But why not just combine both? 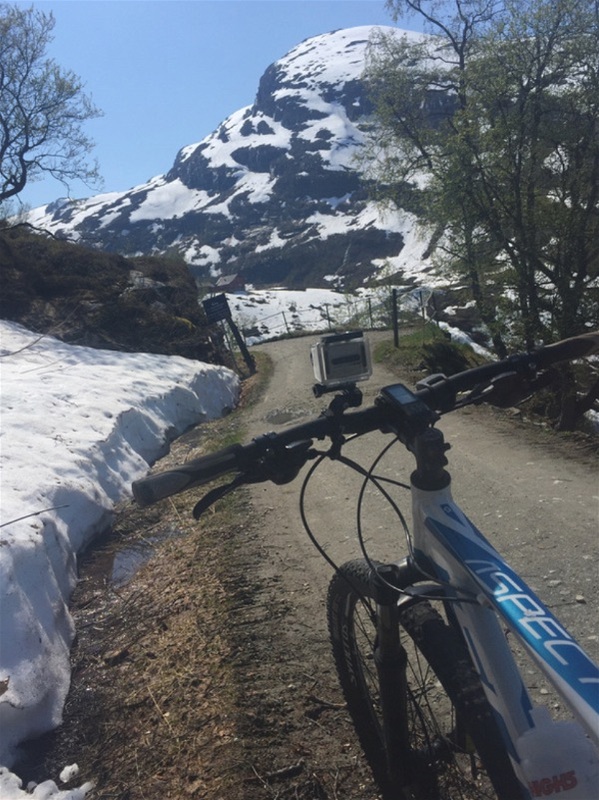 So that’s what we did courtesy of those brilliant people at VisitFlam… a train ride up one of the steepest railways in the world followed by a downhill mountain bike ride down one of the best series of hairpin bends you could imagine along the Raller Road…. 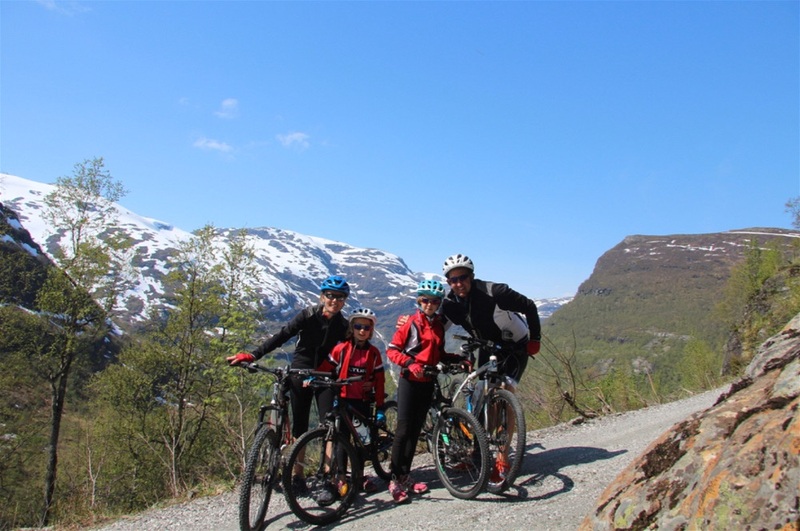 A perfect opportunity for a family to both enjoy the view, but also to expend some energy on the staggeringly beautiful bike ride down. A mountain bike ride that will both tire and test even the most capable of children. There’s a neat symmetry to the Flamsbana taking 20 years to build the railway, being 20km long and having 20 tunnels. Its scenic yet steep (1:18 gradient) travels through some of Norways most wild and abundant land. 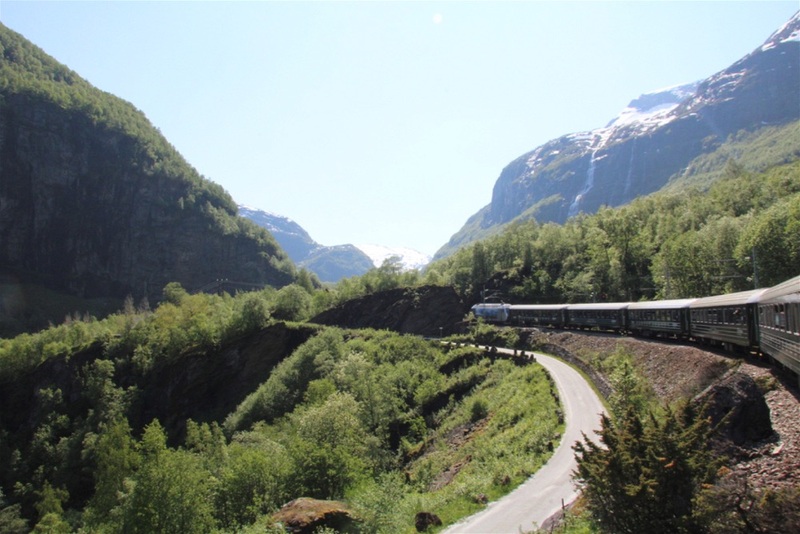 Rising from Aurlandsfjord on a 2,838ft journey towards Myrdal ! 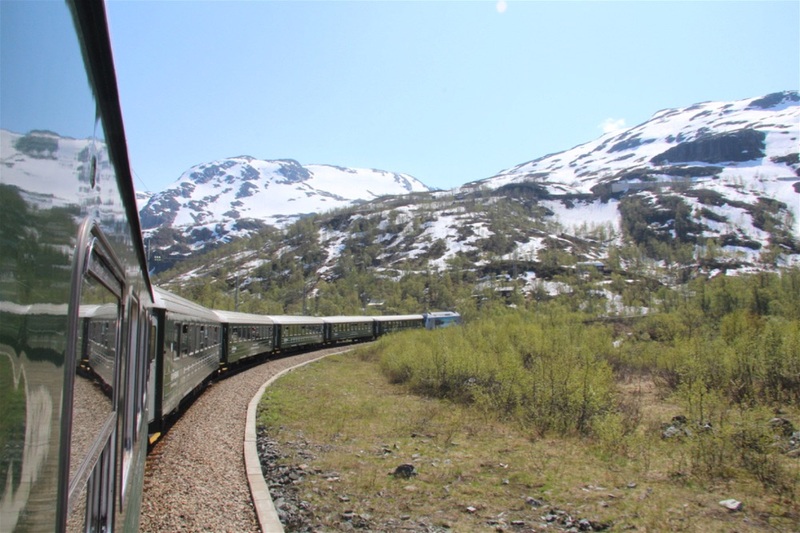 The journey takes in one staggering vista after another showing just why the Lonely Planet rated this as the Best Rail Journey in the World in 2014, whilst newer honours followed by National Geographic Magazine more recently. 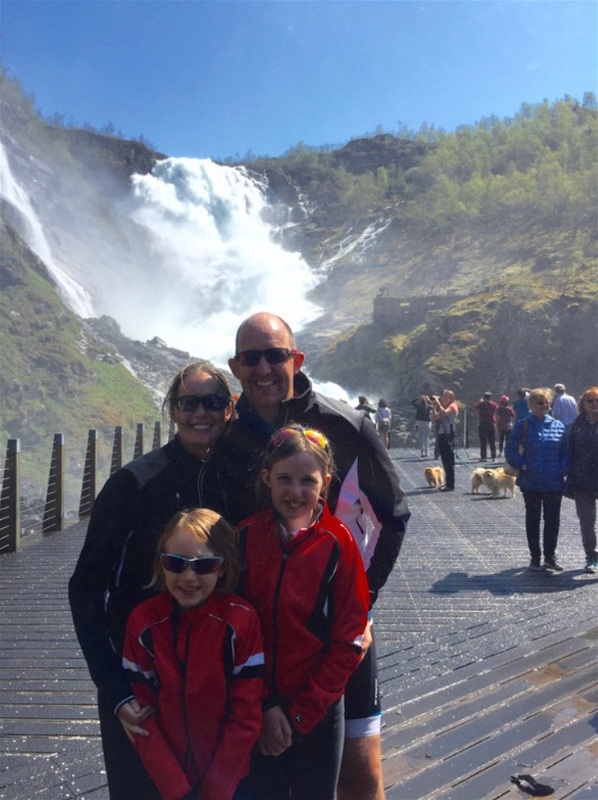 Sights such as the Rjoandefossen waterfall (459 ft), and the Kjosfossen waterfall (305ft) cascade over the imposing gorge tops. Full of yet more meltwater resulting in a sea of white horses dancing across the river as it surges downstream. 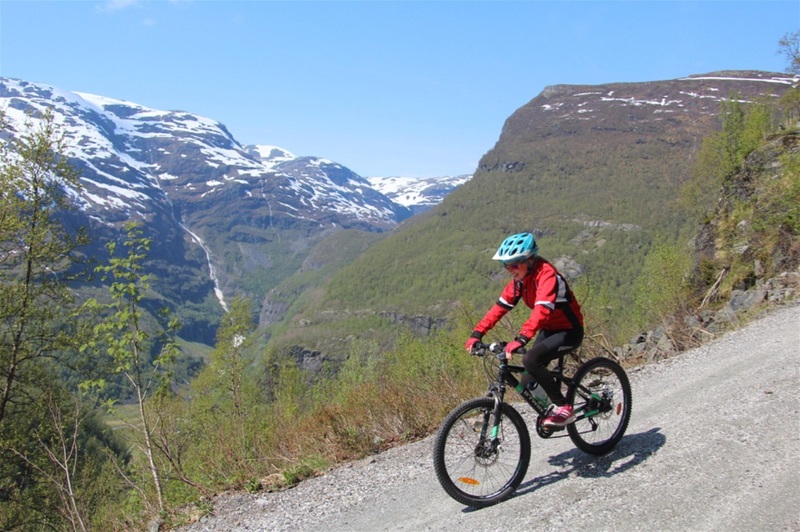 So the highlight of the bike ride,….the best part to the mountain bike ride is undoubtably Myrdalsberget, where the road snakes its way down 21 adrenalin inducing hairpin bends giving brilliant views and providing a great start to the 18km journey back to Flam. Would a family enjoy the experience? Depending on the ages and ability of the family, I’d suggest they’d find something special in either option. 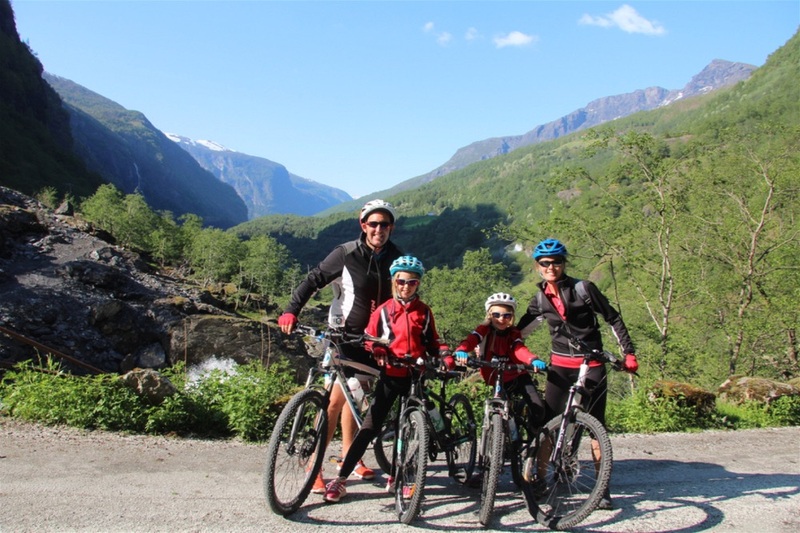 Active families will love the challenge of grabbing a bike and seeing a wild side to Norway but in a safe, enjoyable way. Others may prefer the scenic panoramas that drift past the train’s windows as you relish the calmness of the surroundings… I guess its all about choices!!!!! 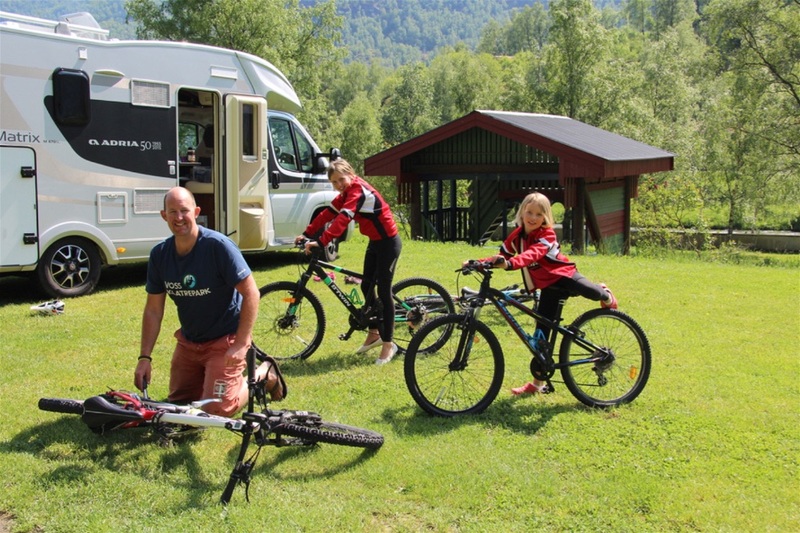 PreviousMotorhoming in Norway | Is there a better way to see a Fjord with kids?